Why can't search sites show real prices? On search sites you often see promotions like “Flights to Berlin from €29”, but when you search for it you never find that price. It’s the same with their calendars; they say it should be one price but when you search for that date it always ends up much more expensive. Why can’t they just show real prices? There are two things in play here: marketing on one hand and some actual technical limitations on the other hand. In marketing everything is about attention, and the one with the best offer will get most attention. So if I tell you that you could get a certain flight at a price much lower than from all the others, that would of course catch your interest. Now, while that stated price might have existed (or may even still exist), it may not fit well with your conditions. It might be on dates that does not fit you, from an airport that is inconvenient for you to fly from, it might be a flight with a very long stopover somewhere, etc. Since you are then instead searching for dates, etc. that does fit you - you will end up getting a different and more expensive price. Since the price you were told before was the lowest possible price, maybe existing somewhere. On some price comparison sites you will find prices stated directly in a calendar, graph or similar - so they do indeed seem to be for that given date of departure - but once you search that date, the prices you get still end up being different from what you were promised. That is because you have another time dimension in play here. Flight ticket prices are changing continuously, much like a slow moving stock market, depending on a series of different factors. Different from a stock market though, where you can easily get live prices from at least the last minute, there is no such technology available in flight price comparison. The only way to get live ticket prices is to perform a full search - the one you did - and these searches, both in technical and business terms, are very expensive to perform. So no price comparison site can afford performing all the searches it would require to give you live prices for each and every date in the calendar. So the prices you see in the calendar are old prices, recorded from previous searches that you or someone else did on these particular dates. Here is where the problems comes in. Since these prices are old, and prices keep changing, they are very likely to have changed since they were recorded. Worse yet, the prices shown in the calendar, that you are comparing with each other, may be of very different age. Meaning that they can not even be fairly compared with each other, since one might be one hour old while the other is one month old. So both “from €29” and the prices in the calendar are an illusion. To make you happy. To make you believe you are making the right choices. The problem is that it is very easy to see through. 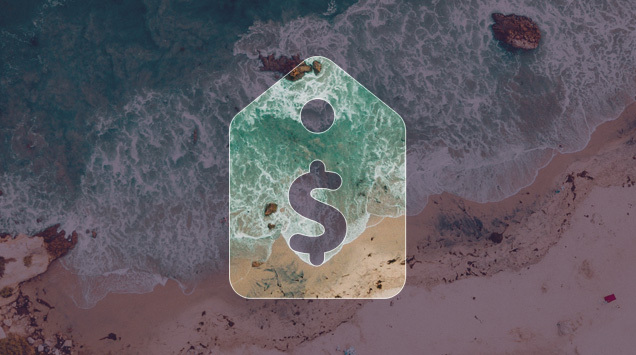 You just have to test another site or some other dates (that were said to be more expensive) to see that you could actually find something cheaper elsewhere. Causing a lot of distrust instead. Since you are being somewhat lied to. That also why we at Avionero are doing things very differently. We will not be giving you calendars with prices and then let you do the work. Instead we always start with what you are actually interested in, and then make our very best effort to find you not only the cheapest days to fly but actually the best available flights we think could fit you - which we can then, using our history databases, tell you if they have a good price or not. Making it a lot easier for you.